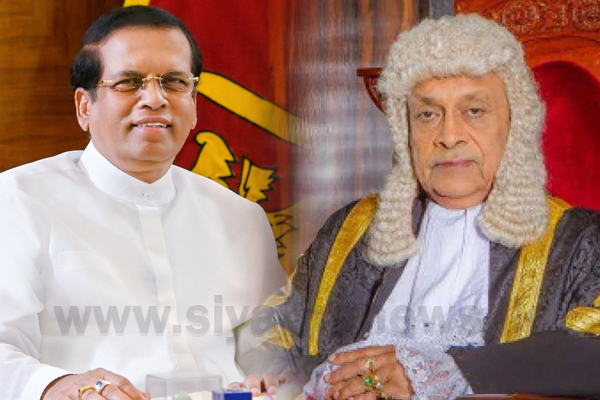 Speaker of Parliament Karu Jayasuriya has dismissed the accusation made by President Maithripala Sirisena that the Constitutional Council ‘entirely disregard seniority’ for the appointments of the council. The Speaker stated this at the commencement of the Parliament session today (07). President Sirisena, delivering a special statement at the House yesterday (07), said the Constitutional Council completely disregards seniority when appointing members for the council. However, in response Speaker Karu Jayasuriya said today, he had detailed the selection procedure followed by the Constitutional Council for the nominations in the letter he had addressed to the President on 02.01.2019. He continued, “What we mentioned was that seniority is not the only criteria that were followed” in the selection procedure. The Speaker added each nomination that has been approved was a recommendation listed by His Excellency the President and the Constitutional Council has not recommended any nominees arbitrarily or externally. “Hence, no injustice has been done in the procedure when selecting suitable members out of the recommendations sent by the President and we do not see any fault in this,” he further said. Commenting on the President’s claim that the Constitutional Council has rejected 12 nominations, the Speaker emphasized the council selects only one out of 3-4 recommendations; however considering this as a ‘rejection’ of other nominations, is an unjust accusation made to the council. Stating that a Constitutional Council is not required if only the seniority is considered in the selection procedure, the Speaker continued that he does not intend to debate on the occasions where the President had also done so, and he believes the Constitutional Council has adeptly selected the most suitable members for the council in terms of the 19th Amendment to the Constitution.